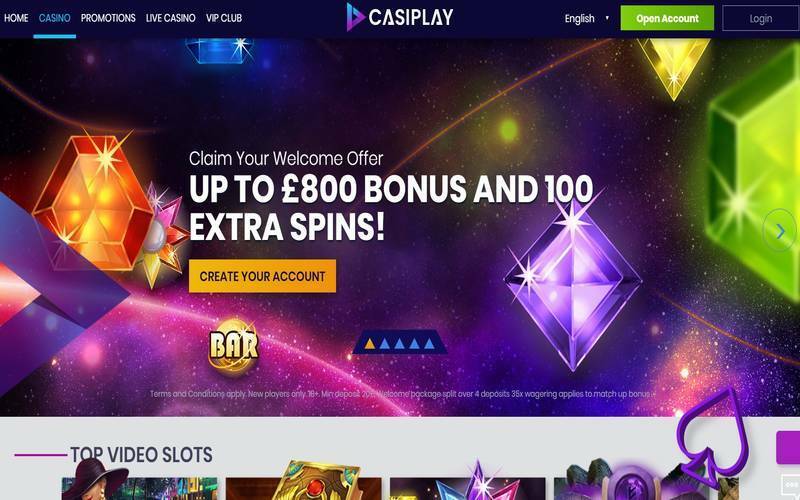 ✅ CasinoPop Review, 100% up to £50 bonus in your First Deposit! CasinoPop is a fairly new online casino with a modern, pop-art theme. It’s owned by MT SecureTrade Limited Casinos and licensed to operate by the Malta Gaming Authority and the UK Gambling Commission. The casino utilizes advanced encryption methods throughout the site, so players can rest easy knowing that their information is safe. New members can enjoy a welcome package that offers 200 free spins plus bonuses on their first five deposits worth up to €1,200. The 200 free spins can be used on Starburst, Joker Pro, Wild Wild West or Twin Spin Deluxe. Magic Monday – Everyone who makes a daytime deposit on Mondays gets 15 free spins per day for three days in a featured slot. Tournament Tuesday – Starting at 6 p.m., players can participate in tournaments and win Epic Spins, which are worth 3 times the value of a regular spin, in addition to their earnings. Happy Hour Wednesday – Rotating bonuses can be claimed when a deposit is made between 4 p.m. and 6 p.m. every Wednesday. Tournament Thursday – Thursday tournaments are different from the ones on Tuesdays. Starting at 6 p.m., players who wager €1,000 or more can participate, and those who climb to the top of the leaderboard will win 100 Epic Spins. Mystery Friday – Every Friday, members will get a surprise promotion in their inbox to enjoy. The casino also has a fun loyalty program called popZone. Players can earn prizes and level up according to their site activity. Each new level awards the chance to play the popSpin game for prizes like Epic Spins, free spins and cash. CasinoPop hosts hundreds of games from industry titans such as NetEnt, Microgaming, Betsoft and Play’n GO. Members can choose between in-browser or mobile play, but both options have quick loading times and excellent graphics. Players can expect to see popular slots such as Thunderstruck, Divine Fortune, Fish Party and Bonanza in addition to dozens of table games like Texas Hold’em, Baccarat, roulette, blackjack, craps and Red Dog. The CasinoPop team offers 24/7 support via live chat, but players can also reach out to them through email or visit the Help page for assistance. 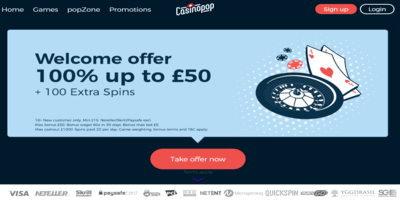 Anyone who is looking for a secure and straightforward online casino experience is sure to enjoy becoming a CasinoPop member. Their game selection, bonuses and loyalty program make online gaming fun for everyone. 18+ New customer only. Min £15. Neteller/Skrill/Paysafe excluded. Max Bonus is £50. Bonus wager 60x in 30 days. Bonus max bet £5. Max Cashout £1000. Spins paid 20 per day. Game weightining, bonus terms and T&C apply.